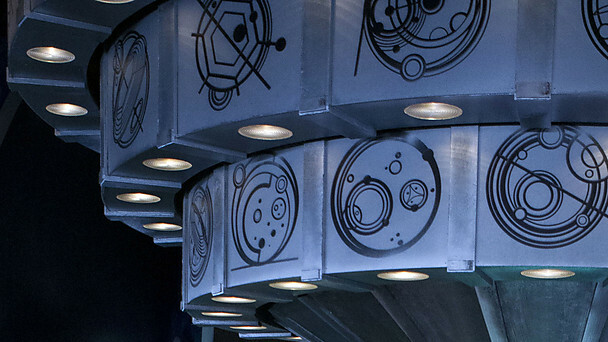 You are here: Home / TV / Will the Great Intelligence and the Yeti appear in the Doctor Who Christmas special? This post is speculation. I’ve not seen any of the previews of The Snowmen, the 2012 Christmas special, and I’ve no insider knowledge. This post is fanboy froth, mixed with internet research and the chance to show some previously discovered art and pictures. If you’re worried that this speculation might be right and therefore might become a restropective spoiler; stop reading. In June, 2010, Geek Native asked; “Will the Yeti make a return for the Doctor Who Christmas special?“. The answer, at the time, was cleary no. 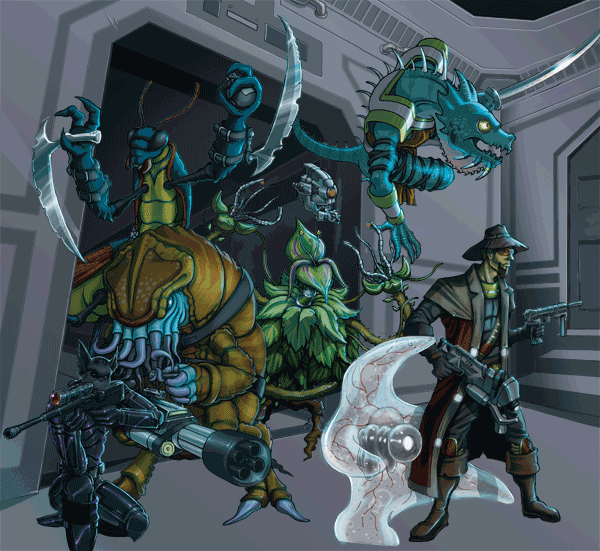 The question was asked in the first place because of the discovery of some concept art by Peter McKinstry. You can see it below. 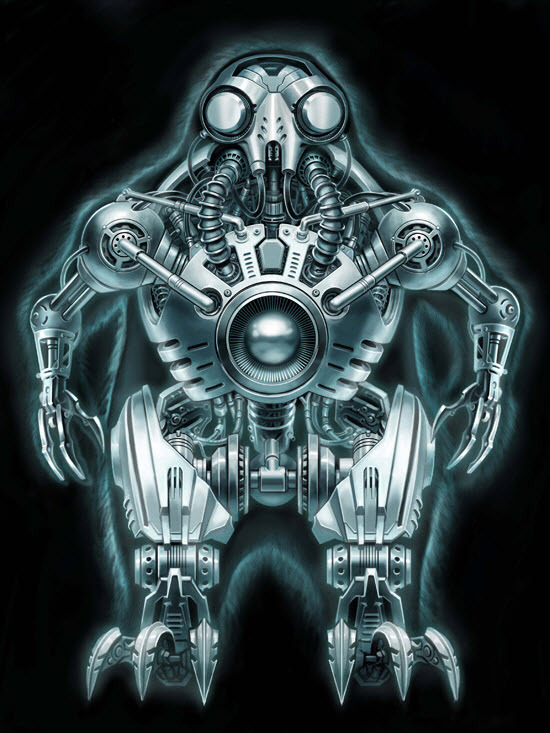 As the concept art makes clear the yeti aren’t a creature; they’re an alien robot. The yeti are the minions of a villain known as The Great Intelligence and twice battled the Second Doctor. They featured in the episodes The Web of Fear and The Abominable Snowmen. This year the Christmas special is called The Snowmen. It is actually possible The Great Intelligence has already battled the eleventh doctor. Author Neil Gaiman hinted the the first drafts of his award winning The Doctor’s Wife suggested the the villain House was actually the Great Intelligence. Gaiman is writing a second episode for Doctor Who. That would fit; the Great Intelligence, also known as Yog-Sothoth, no longer has a body or any physical. It survives and influences this world by taking control by renaimation and possession. That’s rather like House and it could certainly explain why there are evil Snowmen, more alien robots, and someone who could build them in Victorian England. The official BBC teaser pictures hold no clue of substance. The Beeb, especially Moffat, are clever like that. 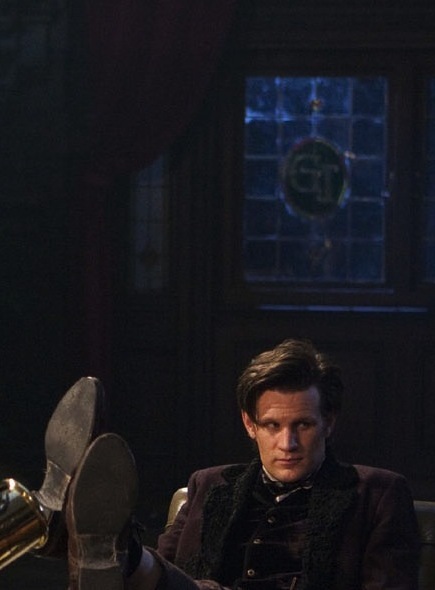 However, there was one picture showing the eleventh doctor sitting in front of a door with the initials G.I. on it. That’s a bit of a stretch. Would Yog-Sothoth, the Great Intelligence, really sign a door? If the name Yog-Sothoth sounds familiar then you will be an H.P. Lovecraft and Cthulhu fan. Yog-Sothoth is one of the outer gods in the mythos and first appeared in The Case of Charles Dexter Ward. It just so happens that the number of stars in ‘*** ***** ************’ match the number of characters in ‘the great intelligence’. What do you think? Does this theory hold any water at all? Or is just the natural overlap created by hundreds of encounters over the life of a 50 year old sci-fi show?